I wish to have a dog at home. I wish to have a pet at my home. I wish to go home greeted by him, wagging its tail vigorously with hugs and kisses. Waited eagerly for the owner to come home. Dogs are very loyal especially towards their owner. Unlike some human betrays each other. Photos like this made me feel like adopting one. Look! They are pedigree dogs. Why would someone abandoned such nice dogs? Often situations are the owner bought it for the sake to please their children. So when their children are bored with the dog…then they’ll just abandon it. Other excuses are “I can’t afford to rear the dog” I may not know the true story behind..but common..you can afford to buy the dog, but to can’t afford to give at least a simple living? Some just decided to gave up the dog when it has skin problem. Don’t you think that skin problem occurs depending on what you feed on them? All the above apply to cats as well. The most heart wrenching is they are abused by their owner. Hello….they are living being also! I can see their sadness through their eyes and face expressions..they felt disowned. What hold me back from adopting one. I really wish I could. But before I press the “Start” button…I told myself..I often travel between 2 states, do I have the time for my dog? I’ll be away to work longer hours than I’m at home. What if someday I have my own family…will I neglect my dog? That’s what I often see these days. They do have feelings too. 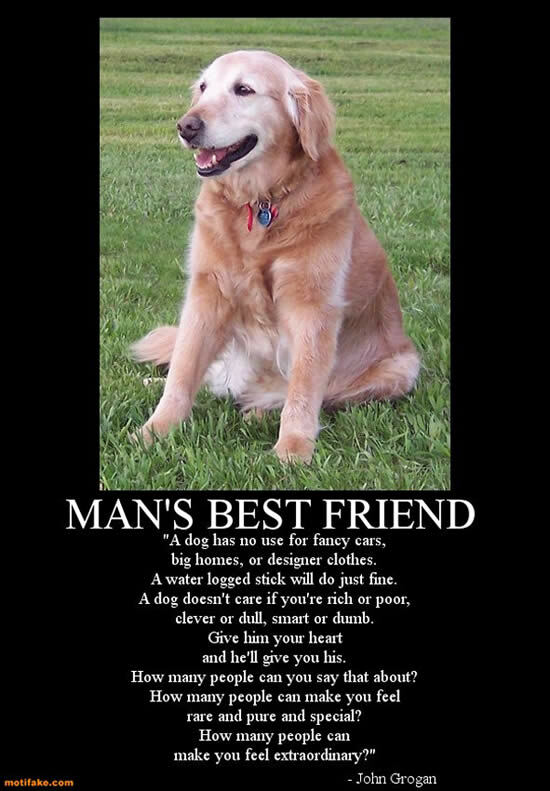 And do you know…dogs are sometimes smarter than human! No doubt they can’t talk, but they do understand what we are expressing. Never mind…I can’t have a dog at my own house…but over the weekend I can still spend time with my dearie doggies at my parent’s house. Do check out Malaysia’s SPCA and MDDB. And if you are kind enough, why not do some donation, a small contribution to help the dogs and cats. They can be a good companion too! Yeap…its about the long term responsibility and commitment. At least 12 years. Just like having a kid at home. hmm i tot u have a dog jor? true also..if u think u might neglect them..better dont la. LOL! Yalor…your HB has a point too. aiyoo… sure u miss them. but at least u got extra place for them if u intend to adopt. CleverMunkey; I saw some owners they keep a small breed dog in their apartment. Probably those apartment aren’t strict. Dogs are hard work, they are like children also ah. Need to spend a lot of time with them. wjingyi – Ahh….then its difficult jor if either one disagreed. Totally disgusted with the folks who give up their pets out of boredom or lousy excuses of cannot afford to feed them or “I didn’t expect them to grow to be so big”. Aaaargh! Then you will not be able to go on a holiday unless you have people willing to help take care of it. Any “dog hotel” in KL or Seremban? Food Dreams – I agreed with your saying ‘their loyalty really outdo us humans’. I agree with you Mel. I love to have a dog at home but my husband disallowed it. He said I am not ready and he is not too. Its the responsibility and commitment and we both knew that we can’t give our future dog a good home now. Taking care of the dog will be tough as we always come home late after work. It’ll be lonely and abandoned at home and we dont want that as well. I wish we had too! The last time I had one was way back in the Philippines 10 years ago. Its kind of hard here in NZ specially knowing that we love to travel, how to leave them.